Today, I send into your meditation The Egg. Meditation is a fabulous tool for developing deep intimacy with oneself. It connects us to the movement of feeling within us and our thought patterns that are generating these great rivers of emotion. Meditation practiced routinely can show us the subtle ways we hold tension in our bodies and minds. It can bring us into a keen awareness of our rhythms and energy patterns and how those are playing out in this specific moment — now. It is a beautiful window to how we expend ourselves in life and how we nourish ourselves. It can also be a tool we use, usually unconsciously, to isolate ourselves. Relationships with others can be messy affairs. They are perfect mirrors for what we hold onto, believe in, are actively pursuing, and/or hiding in our subconscious. As soon as we begin to interact with others, we are scanning for what is similar and what is different, even if not aware that we’re doing it. In this comparing, areas of low confidence may suddenly arise making us seek to control others or situations. Relationships bring up feelings of vulnerability, exposure and insecurity. They can be places of love and nurturing or competition and struggle. Certainly, our hearts are never more exposed than when we love. For many on the spiritual path, bumpy relationships are what brought us to the cushion in the first place. Meditation can be a cozy blanket we wrap ourselves in to hide from that exposure. We get to feeling we know ourselves well, because we are so snug and comfortable in our silence. Alone, everything is peaceful and clear to us. We may struggle with the silence, but we see it as our struggle in a modality that promises an end to that struggle up ahead. There can be a clean edge to meditation for us, whereas human relationships often have undefined territories. To some degree, meditation feels like something that remains under our control. 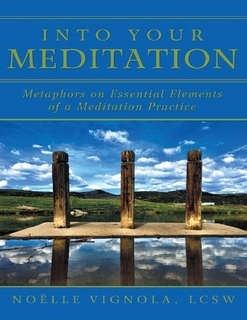 We determine how our meditation practice will play out. When we enter into relationships with others their perspectives, beliefs, daily noise and beingness begin to affect us. Often, instead of engaging the mirror, which is what relationships offer us, we retreat back into the silence where everything is peaceful and warm. Where no one challenges our inner worlds. We might even tell ourselves the quiet is somehow better or higher in consciousness than the mayhem we may experience all around us. But is it? It does take bravery to leave our aloneness and step into the seas of human discourse, because as soon as we do we’ll struggle. We’ll see things in ourselves we don’t want to see, nor did we see when we were alone. We’ll feel our views, perspectives, and beliefs being challenged in ways we never saw coming. We will, at times, have to change our way of seeing things, admit wrongs, see limitations and feel the tension of adapting to something new. Yet, there is so much adventure, discovery and growth when we find courage to open our hearts, expose our underbelly, and allow others to step inside our weird, little, mental worlds. To allow that tension of change to unfold within us. Meditation used wisely can shore up our courage to allow ourselves to be exposed, not in silence, but in the noise of human life. To allow another’s ideas, presence or choices to show us how we love or don’t, how we engage or don’t, how fear holds us back or emboldens us. In relationships we see how we hold things we need to let go of like jealousy, anger, low esteem, fear, or whatever we’ve been dragging around in our personal kitbags of instability. To connect with any other, we are risking discovering we aren’t who we think we are and that terrifies us. Alone in our quiet, we get to determine who we are. With others, well it’s a bit more like a Picasso painting. Clear and not clear at the same time, but that jockeying around of view points has immense potential for strengthening us and pushing our well of love ever deeper. It seems counterintuitive, but the crazy, rocket-ride of living a human life is meant to be just that. A ride to show us vistas both outside and within our very souls. Sitting in our homes, alone, quietly, is only one piece of the equation. And should you believe because you are married, work in teams, live with five roommates and so on, that you’ve got this “connection” thing down, be wary. Some of the most alone places on this Earth are in the company of many. Taking a risk with ourselves in relationship with others isn’t merely about physical locale, but about the depth of our heart-risk. Every living thing benefits from a quiet, supportive, nurturing egg from which to gestate and grow inwardly, but we aren’t meant to live there indefinitely. Every life eventually must crack out of that egg and enter the world or diminish. Love the comparison of Meditation and Relationship. Thanks for the post, my friend. Yes, meditation is a wonderful thing, but it isn’t the only thing that grows us and helps evolve us. I am thinking of the film Samsara you recommended to me. That film speaks to his a great deal, I think.